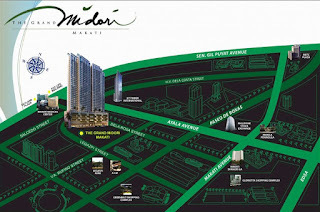 The Grand Midori Makati is a 38-storey luxury condominium development that carefully integrates nature in every aspect: ample living space, invigorating outdoor and indoor amenities, and efficient use of natural light and ventilation. A balanced lifestyle is what The Grand Midori Makati promises: grandness with functionality, flair and tranquility. Your Zen oasis in the heart of the city. The Grand Midori Makati is just 5-minutes away from the bustling business and leisure destinations yet a world away from its hustle and bustle. It is now rising along the quiet side of Legazpi St., Legaspi Village in Makati City, Philippines. The Most Convenient Location Your new home at The Grand Midori Makati is located along Legaspi Street, Legaspi Village, Makati City. Enjoy the convenience at its finest with easy access to all your basic needs. Food, banking, shopping, business and medical institutions are all within reach. 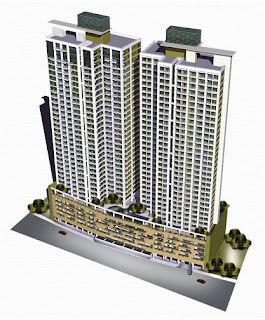 Only 5 minutes to get to Ayala Avenue and 3 minutes to the Greenbelt lifestyle complex. Because The Grand Midori Makati is tucked away in a quiet corner within Legaspi Village, away from all the noise and chaos, one can also come home to serenity and find inspiration amidst the Zen-like ambiance.